Whistles can come in handy during emergencies and natural disasters. They’re especially useful in catching the attention of rescuers who might not be able to see survivors clearly because of the conditions. Unfortunately, not everyone walks around carrying a whistle in their pocket or wearing one around their neck. 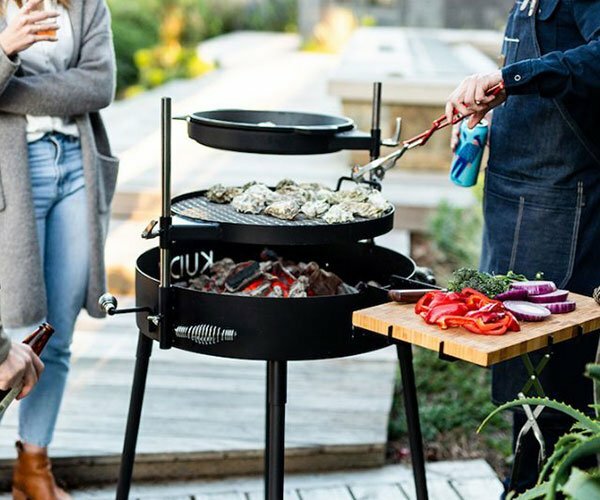 The redesigned whistle by Park On-hee, Kim Myeoung-soo, and Jang Young-seo aim to address these problems. 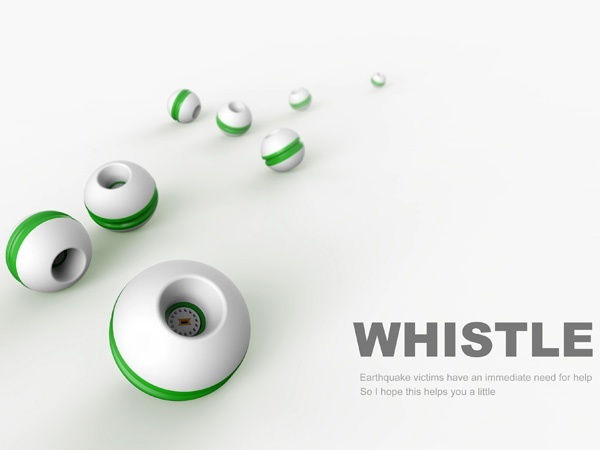 Aptly called WHISTLE, it’s a round, ball-shaped whistle that can easily roll into cracks and crevices to reach survivors who might be trapped under rubble. They’re glow-in-the-dark, so they can easily be spotted by the people who need them – assuming they know what they are. 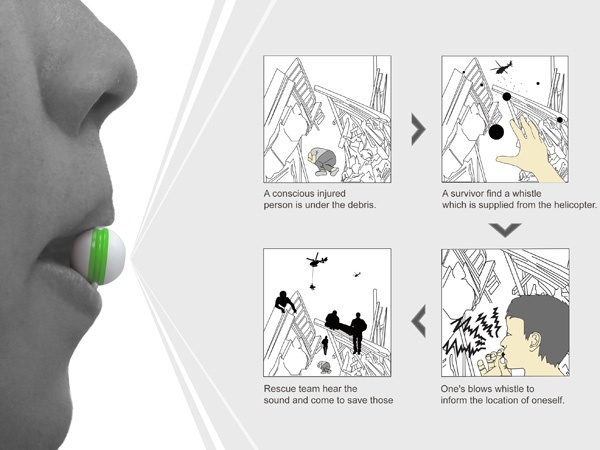 It is proposed that whistles like these could be dropped or thrown en masse into areas where people might be trapped. It’s definitely a good idea, and we’re not the only ones who think so, as WHISTLE is also a 2013 IDEA Awards entry.